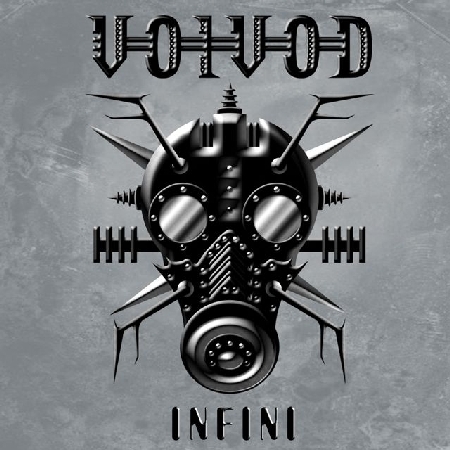 Another gem I bought this week-end (zerxcellent digipak) and played 6 times in 2 days: the new Voivod "Infini" that you can dl from Classic Extreme Metal. IMHO "Infini" is simply a masterpiece, slightly better than the hypra excellent "Katorz" - the class of the musical plots of "dimension hatross" | "nothingface" with immense grooves and rocking amounts of zer. Much, much better than the weak alt|stoner s/t album of 2002. Less thrash than they used to (I love the Eric Forrest years too), more gloom of sonic elaborate wizardry and progressive groove - VOIVOD ZERRRRRRRRR!R!R!RR !R!! ! !!!!!!!! R! R! !RRRR R!R!R! R!R!R!R !R!! !R R! Be zer! Buy Infini now! Piggy RIP zer. death metal! So here finishes a vital wall of metal history that started for me when I bought "war and pain" just because of the evil artwork and song titles (I've always loved the blind-buying experience, still to this day, it's like a glory-hole but with a record, amazing except when you end up with some Earth Crisis) - FNAC Bellecour mai 1984 zer! Voivoooooooooooood!!!!!!!!!!!! Merci pour 25 ans de plaisirs solitaires stéréophoniques.